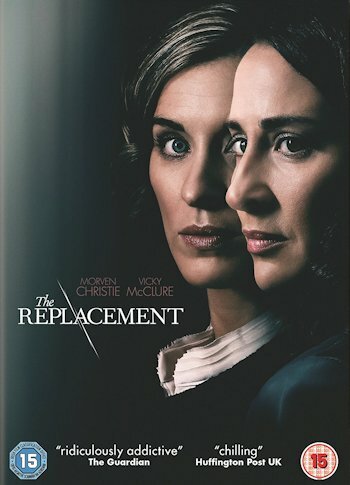 Acclaimed British actors Vicky McClure (“Line of Duty”, “This Is England”, “The Secret Agent”) and Morvern Christie (“The A Word”, “The Young Victoria”, “Lilting”) star in the gripping psychological thriller The Replacement, coming to UK DVD on May 1 from Sony Pictures Home Entertainment. When Ellen, a successful architect in her mid-thirties, falls pregnant, she finds maternity cover in Paula who is brilliant, enthusiastic and raring to go. Paula is ready to return to full time work after taking ten years out to raise her daughter. Ellen champions her, but quickly begins to feel uneasy as Paula has been meeting the client without Ellen and tweaking her designs. And why is she so preoccupied with Ellen’s pregnancy? She seems to think that, as mothers, she and Ellen share some sort of special bond. As Paula ingratiates herself further with Kay and David – the firm partners and Ellen’s mentors – Ellen’s attitude towards her starts to come across as paranoid and obsessive. Her husband Ian, a psychiatrist, wonders if she might be suffering from antenatal depression. The more Ellen tries to trip Paula up the more she alienates herself from her husband and colleagues…but Ellen is convinced something is not right about Paula. Can her suspicions be explained away as female rivalry and her own insecurity of opting out of work at the top of her game…or do they speak to something deeper? The Replacement also features Dougray Scott (Hitman, Mission Impossible 2, Taken 3), Richard Rankin (“Outlander”, “From Darkness”, “Thirteen”), Neve Mcintosh, (“The Hound of the Baskervilles”, “Psychos”, “Lip Service”) Navin Chowdhry (“Doctor Foster”, “Teachers”, “Dalziel and Pascoe”, “Waking the Dead”) and Siobhan Redmond (“Between The Lines”, “The High Life”, “Holby City”, “The Smoking Room” and “Doctor Who”).